Kneel on your hands and knees. 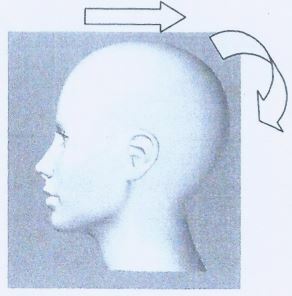 Lift your right arm up and out in front of you; hold for 3 seconds; return hand to floor. Repeat with other arm. 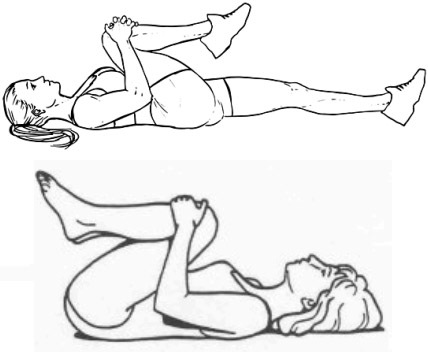 Lift your right leg out behind you, hold for 3 seconds; return knee to floor. Repeat with other leg. When confident with your balance, lift your right arm and left leg at the same time. Hold for 3 seconds. Return arm and knee to floor. Repeat with left arm and right leg. Repeat as many times as you can. Your target is 30. When you can do 30 of both sides easily, tell us because you no longer need this exercise. do 1 set in the morning and 1 set at night. You can do more reps and more sets if you like. The more you do, the faster your endurance will be achieved. Neck Towel Stretch When completed above, lie on the floor on back with “rolled towel” under neck, head tilted back. First week 5 min, gradually over following weeks increase to 10 minutes. Note: if your knees hurt, your feet are too close to the wall – so move them out – knees should be at 90 degrees. Begin by laying on your back on a yoga mat on the floor or in bed (if necessary). Raise your left leg and wrap both arms around your shin and hug into your chest. Keep the right leg as straight as possible. Hold for 30 seconds and release slowly back to the floor/bed. Repeat the above two steps with your right leg. Rest and repeat with both legs at the same time. Practice these exercises when laying down to sleep at night and when you wake up in the morning.